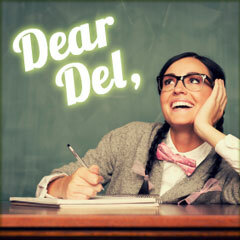 Dear Del: How do I deter drive-by helpdesk requests? I work in the IT department at a mid-sized association. While many of our end users follow proper channels when making helpdesk requests, there are a some who tend to nab me in the hallway, the kitchen, or even the parking lot with their IT issues. While I am happy to help them, I find that their requests – seemingly small at first – can become complex problems that take significant time to address. What can I do to help these folks follow the rules? What I’d suggest is that when someone comes to you with this type of ‘drive-by’ request, let them know you’d be glad to address it, but also ask them to kindly follow the established protocols and log it into the trouble-ticket system (assuming that you have such a tracking system, which an organization your size may need – that way you can perform analysis on the number and nature of helpdesk requests). By explaining that using the proper channels helps you help them more effectively and efficiently (as well as identify and curtail more pervasive technology problems), most users understand and will comply – if not this time, hopefully at the next crisis. Also, I’d ask your supervisor – or, even better, their supervisor – to reiterate why the system is set up the way it is; this should give you the from-the-top support you need to ensure that you aren’t suffering ‘the death of one-thousand cuts’ in responding to such requests. Good luck!